The above post has a lot of good information in it, but also has some misguided info in it. To say that HID's shouldn't be used in any reflector based application is a bit off, and simply not realistic. And I agree 100% with the statement that projectors are the best set up for HID's, and the do a much better job of projecting and focusing the HID's beam pattern, while drastically reducing glare. BUT glare exists in halogen lighting as well, not just HID's. With that being said, HID's are still a great upgrade even in reflector or refractors based housings if you do a little homework before upgrading. And contrary to popular belief, there are OEM applications where HID's where used in a reflector based housing designed for HID's. I've personally been blinded at night by oncoming drivers with HALOGEN headlights, from headlight alignment that is terribly off. I've been running HID's personally for years, and not ONE time have I been flashed by oncoming traffic at night for my headlights producing to much glare. Again, it all comes down to knowing the facts on how to do something, and taking the appropriate actions. HID's emit light much further out then a regular (or even upgraded) halogen or incandescent light will. Seeing ANY extra distance at night, can save your vehicle or even someones life. With your increased down road vision you WILL be able to see potential dangers sooner then you could with a light source that did not emit light as far out as say an HID. There could be a deer in a ditch, a person walking along the road, a car stranded along the road with no lights on, etc etc etc and you WILL be able to see that potential danger sooner, therefore giving you a longer time to react accordingly which could potentially save your vehicle from getting into an accident or potentially even save a life. Do HID's emit more glare then Halogens in a reflector based housing? Absolutely. If the light housing is chosen and is utilized along with proper alignment after the installation of HID's, is the glare unacceptable? Absolutely NOT. I will not say that HID's should not be installed into a reflector based housing. If the headlight is aimed within reason, and features a "glare cap" (Which greatly reduces glare regardless of the light source type) then HID's will be give you a great upgrade in light output, as well as giving you a reduced amperage draw on your vehicle. This, with the emphasis on the glare cap. I have also been running drop-in HIDs for several years now and have NOT been flashed a single time. I also have a car with OEM HIDs, so I do know what a good HID cutoff looks like. It is true that you'll never get that with some HIDs in a reflector housing, but with my drop-in HIDs, I can surely see much farther down the road with a brighter, whiter light than halogens. I only put HIDs in housings that at least have a glare cap. It's amazing how much of a difference that it, along with some careful aiming, can make. My eyes are extremely sensitive to light. If I can face my own vehicle head-on and have it behind me without bothering me, then I know that most other drivers aren't being bothered either. Some of the most annoying glare I encounter from HIDs comes from the current generation Escalades. There's something about those things. I've encountered plenty of other vehicles with drop-in HIDs that didn't bother me at all, yet there are plenty of those idiots out there who don't give a care. You can't just make a blanket statement saying it can't be done without bad glare and does nothing to improve the lighting. Are drop-in HIDs in halogen reflector housings optimal? No. Never will be. Can it be done safely in a way that doesn't cause problems for other drivers? Absolutely. Baron, nice post. I can say first hand that the people that don't even try to set up or spec their HID conversion kits should be followed closely at night so they can get the feeling I get. My 95 F-350 basically has 2 candles on the front compared to 85% of the headlights on the road today. It'll get something soon, just haven't decided what yet. Tired of spark plugs? Check this out. Exactly Ryan! Its the bad apples out there that run the HID kits without any consideration that give the rest of the people who run HID's in a considerate and knowledgeable matter a bad rap! And as for your F-350, You should be able to run a similar H4 HID kit as you purchased for your Chevy! 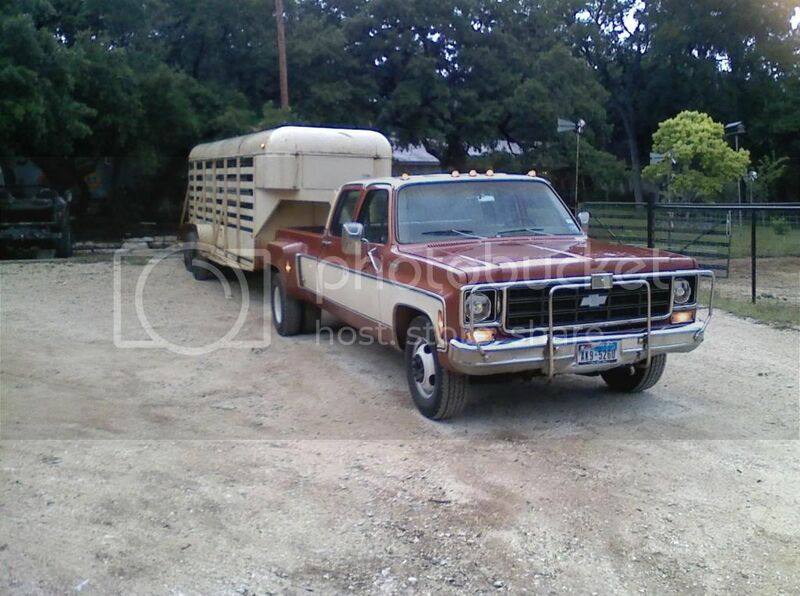 IIRC I believe that ford used a 9004 (H4 type set up, dual beam bi-xenon) in that body style! I couldn't of said it better, this is a great post with a very very valid points! I put a "sticky" on this thread and removed the bump posts. It should stay at the top now. I have run and ran HID’s in everyone of my vehicles. Even my wife’s, mothers and brothers. In fact xmas comes around a HID kit is one of my favorite things to give. Who doesn’t appreciate brighter headlights at night. With that being said, I have never had any problems from Johnny Law in the last 12 years or so. My first kit was like 650 dollars back when HIDs were “new” to the market. Now 85 bucks can get you into almost the same kit. I have ran all temps (colors) and the cool factor is awesome with really purple lights, but visibility is almost null and void. Long story short, HIDs are awesome. But as posted above, adjust your lights—even if you don’t have HIDs, do us all a favor and adjust your lights..
Those particular headlight housings appear to be decent, personally I would try to avoid housings with "Angel Eyes" if possible. But I wouldn't be afraid to order a set of the link you posted, the reflector appears to be of a decent design and does have the glare shield which is a must for a 7" round High/Low. I don't have any personal experience with that particular set, but that is my opinion on them! Even if they're not illegal, they're still not considerate for oncoming drivers. 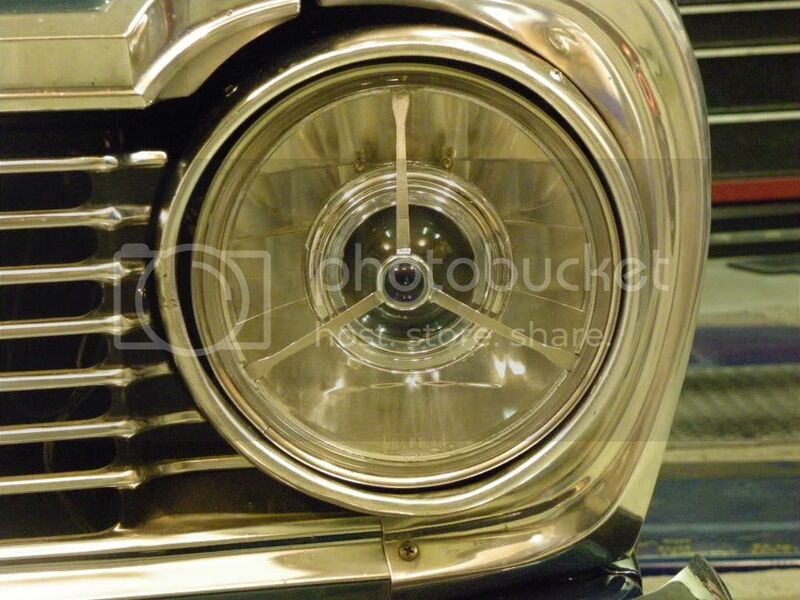 A regular bulb type headlight housing is built so that all of the reflector surface, and the fresnel lens work together to aim the very small source light the filament of an incandescent bulb out into a usable pattern, with minimal glare. Everything about the way a housing aims the light hinges around the size and location of the filament. HID bulbs are many times larger than the filament of a halogen bulb, and the whole thing glows just like a florescent bulb- there's no thin filament as the focal point of the housing, so the housing can't properly aim/distribute the light. This causes glare for oncoming traffic, and an unfocused light pattern for you to see with. These are fine for a show car, but they definitly aren't an "upgrade" for a street car. If you have a two headlight system, you also lose the high/low beam function and end up with a beam pattern suited for neither driving in traffic (low beam/minimal glare), or back road/high speed driving where you need longer distance visibility. I'm not knocking the vendor, just stating the facts about how these kits work. I've had friends with drop-in kits in their cars, and they've been pulled over for them. If you want a true upgrade that makes the light output use-able and responsible using HID's, you need to retrofit OEM HID projectors. Halogen bulb on top (note the small filament) vs HID bulb on bottom. The whole HID bulb glows when lit- there's no way a halogen housing can aim the light coming from such a large light source. If your light pattern isn't sharply cut off above eye-level, than you're causing unnecessary glare for oncoming drivers. Regular halogen bulbs/housings can get away with less of a sharp cut off since they're not as bright, but the intensity of HID's makes the cut off necessary to minimize glare to a reasonable level. Just popping in HID bulbs in non-HID housings is improper and irresponsible! You WILL cause glare and unsafe conditions for others! Not to rain on a sales parade, but it is like any mod, do it right. ....wear your adult diaper when you go out to play. Are drop-in HIDs in halogen reflector housings optimal? No. Never will be. Can it be done safely in a way that doesn't cause problems for other drivers? Absolutely. I'm going to see if I can get lightwerkz (http://shop.lightwerkz.net/HID-Projectors) to retrofit some projectors into some 7 inch jeep headlights. Here'a a better explanation of why drop in's cause glare. This is the mechanics of lighting and aiming and everyone agrees on this stuff. 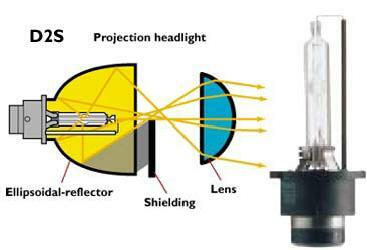 In a Halogen housing the shape of the reflector and the design of the fresnel lens work together to aim the light into a cut-off pattern on low beams. Everything about the beam pattern hinges around where the filament is located. The edge of the glowing filament creates the cut-off pattern when aimed out the reflector and lens. When you change the light source size and placement you also change how the light is aimed because the reflector/lens combo hasn't been redesigned to work with the new light source. The aim is determined by the placement and size of the filament, and the glowing filament's edge is the center point by which the aim is designed into the housing. HID's use a completely different way to control the beam pattern. The "shielding" shown in the pic is a flap that drops out of the way to make a full high beam pattern. When it's up it creates the low beam cut-off. A solenoid controls the position of the flap. The aim/shape of the low beam cut-off is not determined by the size or placement of the light source- the edge of the flap blocks off a section of the reflector's light. When you understand these two diagrams it becomes obvious that it's impossible to change the size and placement of light source in a housing without changing the aim and increasing glare. HID's have a huge light source compared to the small filament in a halogen bulb. Drop in's also lose the high/low beam feature because there is only one filament and no flap/solenoid to control the light beam. You can't explain having the light shine farther down the road any other way than either raising the aim of the cut-off and thereby increasing glare, or doing away with the cut off and having light distributed everywhere- again increasing glare. It can't be done, either with Halogen or HID's. That's what the cut-off is for- stopping the light at a certain height and distance to keep it out of oncoming traffic's eyes. You can't shine light farther just because the light is brighter if the beam is controlled with the same cut-off. The light ends at the cut-off no matter how bright the source- that's how factory HID's are legal, the cut-off is highly effective at keeping light below eye level for oncoming traffic. Saying the HID's emit farther out is proof that either your HID's cut-off is indeed raised higher than normal, or there is no effective cut off because the Halogen housings can't properly aim the HID light source. Neither is considerate for oncoming traffic. Proper aim is that the beam pattern drops 3-4 inches every 25 feet. This allows for a low beam beam pattern that shines far enough out for city driving in traffic but doesn't cause excessive glare when topping a hill or driving in areas with differences in elevation where oncoming traffic is lower than the opposite lane. No matter how bright your lights are, they need to be aimed slightly down. The brighter the lights are, the more they need a sharp cut-off on low beams. I'ma yearnin for some learnin! I dont mean to cause any flack but ive been researching this for quite some time. I want hid's in my 68 really bad. http://forums.evolutionm.net/04-06-r...-housings.html This post makes the most since to me. Read it and tell me what you think. Here's a good source for complete HID retrofit kits. They sell Bi-Xenon kits so you retain your low/high beam function. Edit- they have a Bi-Xenon projector retrofit kit that works well in our 7" headlights. You'll need clear lens H4 housings to install the projectors. Looks like a very clean, simple, and effective conversion. 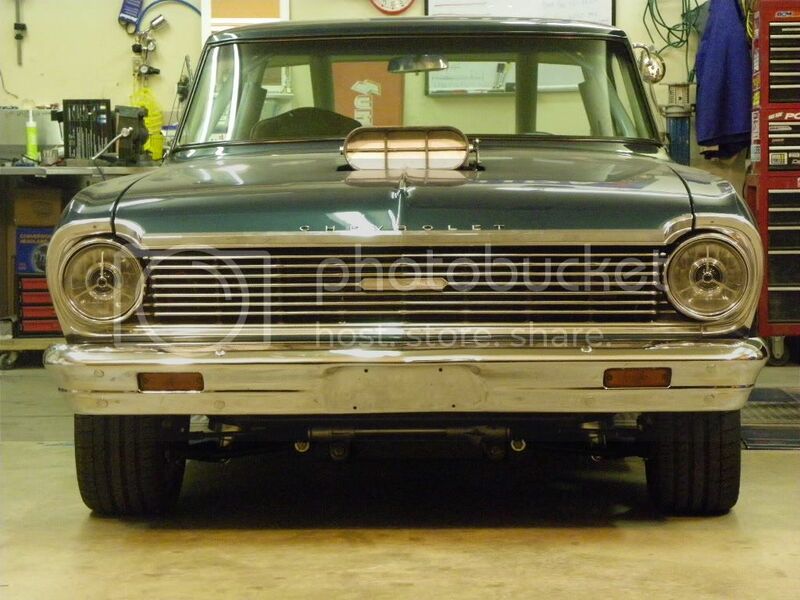 I'm going to look into this for my '66 C10. $295 for the projectors, bulbs, 35 watt ballast, projector shrouds, relay harness, and shipping is included. For under $270 you can get a manufactured projector unit. Plug and play, 5 year warranty, HID ready. Remember guys, a decent projector alone (without the 7" housing) costs at least $100-150. Kits that are <$100 with housings and HID kits are typically poor quality and can be dangerous on the road. No problem. We are actually looking for some folks to test out some kits for promo pictures. Mainly our Black kits in 7" and 7x6". Let me know if anyone is interested! You get a $100 discount in exchange for a short write up and some nice high quality photos. We've had a few customer's photos show up on some pretty big websites and advertisements for some of our larger dealers. Haha. If you want to do a nice detailed write up, we could probably work it out. I did a quick copy and paste in MS paint. I would but I have too many other things to spend money on right now. Really good deal though, especially with a complete HD wiring kit.